E39 M5 - USA style! 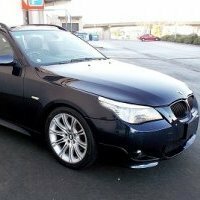 Hi guys, I have been a Bimmersporter for a long time but not a regular contributor. I have a long history of BMW ownership - but despite a stint with a E34 535is and a joint ownership of a X3 with my wife, all of my BMW's have been coupes. 10 years ago two of my close friends concurrently owned E39 M5's in Lemans Blue. Their ownership piqued my interest. Currently living in the USA, I decided I'd finally pull the trigger on a E39 M5 purchase. I have been looking for 6 months - seeking ideally a face-lifted Lemans Blue example. 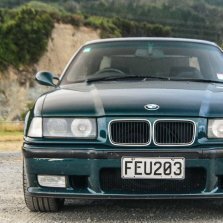 Despite 10,000 E39 M5's being sold here (versus 30-35 in NZ), and a 1,000 sold in that hue, I couldn't find one that fulfilled my criteria. The market has gone a little crazy for these cars, and believe me there are ample, baggy examples with inter-galactic mileage that are struggling to find new homes. Decent ones are getting expensive. I finally did a deal on a very rare car - a July 2002 example in Bluewater Metallic - the 2nd rarest colour for the E39 M5 (83 made for the USA and 160 global) (they sold nearly 7,000 global in carbon black). It was delivered with black Ostrich sports leather (05SW) and Titanium trim. it was sold new with Dinan S1 modifications. It is a very quick car - and has a sensational Dinan exhaust note. Probably one of a handful in this colour with Dinan S1 specifications. I have finally found the last car that I will have for a while. I have been searching all kinds of models to decide what to go for from E92 335i , E82 135i, E46 M3, E92 M3, M235i and also a renault megane RS265 but I have finally settled on what I think is the best car for me at this point which is the F20 M135i with N55 and 8 Speed ZF auto. Coming from a long list of previous BMW's as most of you know, it had to be a substantially newish car for it to be worth while upgrading. When I saw this come up for sale I jumped on it instantly, test drove and paid and collected within an hour of listing. Anyway, it ticks every single box on my requirements list - newness, powerful, practical, mod-able, and of course still BMW. (I still have my E46 which I absolutely love and would love to keep but I just dont see myself driving it as much now I have this thing which works great as a daily and a weekend car) I was lucky to find one with a sunroof which was my biggest requirement and this also came with a M performance exhaust already fitted which makes a great sound. Anyway, if you come long to the coffee meet no doubt you will see it but here are a couple of quick photos! Hi fellow Beemer addicts. The dream is finally coming true and I'd like to share this beautiful😂😂 journey with SOME of you. .... Should be delivered here at the workshop by Thursday from Aus. Maybe 😈 Picked it up yesterday. Drives very well. Previous owner attended to mechanical issues and maintenance well. There are lots and lots of receipts in the glove box and in the boot... including a few 5 liter bottles of TWS oil which is handy. Interior is pretty damn immaculate for a car with 200k. I don’t think the rear seats have been used. Exterior needs a few door dents pushed and wheels refurbished. Motor feels strong, gearbox much nicer than my previous M5. I need a bigger garage! I quite like Melania Trump. UPDATE Progress has been slow, mostly due to finances but slow and steady wins the race. Engine bay was smoothed with a bunch of unneeded brackets and metal removed. A bunch of sanding, then its high build primer and more sanding Then its time for bmw black sapphire metallic followed by clear. Thanks go to @325_driver for a good deal on his leftover paint. With the engine bay ready to receive some parts it was time to work on the front crossmember. The stock crossmember has a bit of a weak spot where the engine mounts afix so I wanted to strengthen that. Here is the crossmember upside down - I cut some 2mm sheet steel to fit inside the two 'pockets'. These were then welded in and other pieces were cut to fit on top And then these are welded in too (above picture of the left side, below picture of the right side). Then it has a hole drilled in it so a socket can still be inserted to bolt up the engine mount. Then undercoated in zinc primer ready for topcoat. For those interested here is the comparison of the e46 crossmember with the e39 v8 crossmember. It was then painted with the same paint I used on the engine bay, and then installed along with the steering rack which was painted in satin black to match the powder-coated suspension parts. New msport control arms were purchased and I spent quite some time polishing them. They were then clear coated so the polish doesn't fade and partnered with new lollypops which I also polished and clear coated, and some alloy and polyurethane powerflex bushings. Drivers Review - 140i War Hammer Last week I pick up the phone at work to Ray on the other end for our once a month catch-up. He enthusiastically said 'waddya doing this weekend'. My reply, not tons planned but bout time for a visit. He said, good cause I have something for you to try out. The 140i is on the road. Not batting and eye lid I said good ill be there with bells on. Roll on Saturday and a 45min commute from green lane up to silver dale. We arrive and sitting in the driveway was a stout little 1 series. Only hint of what is going on is the quad exhaust sneaking through the rear valance. After some chit chat .. He handed me the keys, the missus and I jumped into the car and prepared the usual check mirrors / belts / anything loose that would end up on the floor etc. Fired the little thing into life, which soon made me realise with the s65 shoe horned under the hood and modified pipes that this aint no 1 series any more. I locked the DCT transmission into reverse and eased the car back onto the road. Checking all the normal stuff I popped it into first and moved away ... with a quick pop of the paddles I was in second and gave it a medium sqeeze on the throttle, immediately we were both pushed back into our seats and I realized we were over the speed limit with the car showing small hint it was tapping at the tranction control. Giving the car a bit of a warm up I took it easy up to the open road and drove it down to my favourite testing ground run .. the sprint to stillwater. I pulled over to let the car finish its warm up of the oil and water to operational temp. Looking down I pushed the 'Power' button and changed the DTC settings to '6'. Now lets stop here for a second to look at its spec. Here we have a 120i Motorsport shell with e92 m3 sub frame components, DTC 7 speed gear box, e92 M3 diff and suspension, Mperformance brakes, newly refreshed s65, free flow stainless exhaust, Tuned MSS60 ECU and m3 GTS software loaded onto the gearbox computer and Mdynamics DSC traction and stability control. Back to the drive, I stomped on the loud pedal and plucked 2nd, 3rd , 4th, 5th redlining all the way. The sound was ammmmmmazing. But what trumped that was the amount of time it took me to break the legal and beyond. I see our first corner coming up at a great rate of knots. Look down and see a 2 with a couple of zeros .. hit the picks and dive into the first corner. It just soaked up the corner and the bumps. Accelerating out of the corner I pop the paddles and within a blink of an eye im through some more gears. The GTS gearbox software has come a long was since the SMGII days. Dual clutch transmission are the playstation generation. You cant get it wrong and it just builds confidence as the car isn't un-settled between gear changes. Up comes the next corner which is the start of a set of s bends. Complete with Rodney Council's finest b road bumps can throw at me. The car didn't flinch. I hit the down change and in comes the rev matching and throttle blips. holy crap I say that sounds awesome. At this stage Im giggling like a little girl while punching it out of the corners ... traction control is letting me know that its keeping the rear end in check. We get down to Still Water and take pause to figure out what the combination is and how something so potent can be so solid on the road with this power to weight combination. I jump out and the missus jumps in. She gives it the potatoes on the way back and reminds me I dont make a good passenger. We get to the open highway, and I jump back in the seat. And do the airfield run. I get a real chance to open it up. Pulling a big over taking manoeuvre past a local tourist. Up pops the stop sign to local highway .. The speedo is well past what would be considered sane. In come some braking performance .. bang bang bang down through the gears .. it pulls up with a face ripping gforce to the local highway. I get a honk honk and thumbs up from the tourist haha .. We complete our cool down run and return to HellBM. I get out of the car and walk up to ray, Ray: 'Whaddya think" Josh "Well that wasn't sh*t" Its given me the big hurry up on my plans for my next car. I own a e30 s50b32. I take on a car that was to put great power into something that I though needed it, at the time it was ground breaking.' This 1 series hatch with the s65b40 and DTC just brings into perspective what the new level is in badassness. This hatch is king. I have driven a lot of builds, with power and handling. Including some amazing factory cars. This takes the cake on all of it. Its really that good. 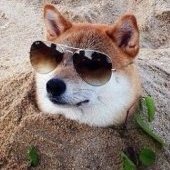 Well done HellBM, this is the future of modding and its bright. I snapped up @Lucan's Xenons on trademe a while back. After abit of wet sanding and buffing they are in pretty good shape. Installed without having to be coded in too which was cool. Looking forward to going for a drive in the dark now. I also finally put the last two heat shields back on and after checking for oil leaks since the major overhaul (bone dry) put the splash guard back on. 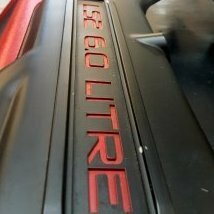 New record for E30 325is pricing? It's very nice indeed. But there was a Diamond Schwarz one that was asking 25k in Rotorua which was in very good condition too. And I thought that was really testing the market. 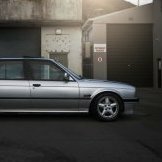 $50k... IMO I would rather buy a normal E30 coupe shell, put a S54 in it, run it with just two seats and half a cage. Or Spend it all on hookers and blow. April 2017. The era of Gymkhanas had come to a close and it was time to sell the trusty STi. unbeknownst to the flat-4, my eyes set elsewhere. She was sleek, Italian, two wheels, absolutely insane, and I needed one. As 2017 progressed, my love affair took the form of two Italian two-stroke sports bikes, both of which exhilarated me, but as the months started to pass, I began to worry more and more about firing them off a cliff and not coming home. I remembered the thousands of kilometers i spent with my various cars, pushing each one and loving every second of it. I yearned for long twisty mountain runs, I desired the roar of high displacement engines, I missed air-conditioning. So I began the search, my requirements were simple; lightweight, high grip, and cheap to modify. This led me down the route of something akin to a Type R Integra, then my partner one day surprised me with his DC5-R, so it was back to the drawing board. Should I conform and get some filthy skyline? Or perhaps sink all my funds into the 80's mr2 sitting around the back and embrace being forever poor? Then one day, my landlord visited in his E92 M3. AND HE GAVE ME THE KEYS. I knew I could never afford an E92, but just as every car enthusiast should know, I too was very aware of her older, slightly unhinged sister. What I wasn't aware of, was how affordable they really were. A deep blue one popped up. I and the landlord went out and had a look. She was nice, but not worth the asking, then a yellow one popped up. Cheap, but had a very sketchy history. About 4 months later, just as i had given up and started looking for some RFB stickers, SHE popped up. and my goodness, was she something. I didn't hesitate, I contacted her owner and booked an inspection. YES! she passed with flying colours! Ok then, better tell the boss i'm not going to be in on Friday. Why? Because i'm about to make the biggest decision in my millennial life! The plane landed and i stepped out of the shoebox of an airport. There she was. It was like i'd waited a lifetime to see an old friend. My eyes tinted rose. She really was as beautiful as they said. It took the whole of 80 minutes before her owner reluctantly handed me the keys, making me promise that should I ever decide to sell her, to get in touch with him first. If you made it through that essay of a write up, then congratulations! After the 7.5hr drive back to Auckland and consequent de-bugging, she's now settling into her new home. The whole household have made her very welcome! As have the small handful of friends she's already surprised! So without further Adieu, here she is! Imola red Manual 145000ks Fully documented and thorough servicing history, with photographed works including the vanos refresh about 30000ks back. Aside from the K&N filter and Eibach lowering springs, Completely original (even talked him into including the OEM bits!) I absolutely cannot wait to meet everyone and start taking her out. She does need a new set of tyres and brake pads, but really whats that in the grand scheme of things!! Nav. now upgraded from MK3 to MK4. Trialing a square setup with 275x35x18 all round. 5 mm spacers on the front. Great improvement to overall feel and handling. Another update Team This was a couple of weekends work, Can almost see the finish line. So motor is now mounted, had a couple little hiccups as you do. Had to remove the gearbox to get the motor in, had a few rear axle bolts give us grief so smashed them off and had to be replaced. New belts put on and asc+t throttle plate removed, new sway bar stabilizer arms and rebuilt Diff from Kayne Barrie with 3.15 LSD So tried the factory 525i diff but was slightly too long, will need to get it shorten by 27mm. Left to do. Reattach the rest of the front end. Secure electric fan onto Radiator Sort wiring out, reverse lights, car to read in neutral and jump starter motor relay. Refit exhaust And thats about it. Can't wait! Over the last week, I've made descent way on the tailgate section, getting all the wiring and structure pieces cut up and welded. Welds aren't the best as the metal on that side of the chassis is rather thin. Pin holes will be filled with deck liner and the end bits will be sealed with heavy duty weather resistant silicone. Hinge needs to be aligned slightly, but opens and closes pretty well. 211,450km installed new lemforder control arms. Tension and thrust arms both sides. I hadn’t done this earlier due to @rusteee having already done them 30,000km earlier with Meyle HD ones (which still looked really good when I pulled them out?) But the big news is that it has cured the 100km shimmy i had. This was a lasting frustration I’ve had with this car since purchase, so I am so happy to finally have it silky smooth as it should be. I ordered the arms from FCP in two orders to avoid gst and they were on the limit @400 each side but they both came in under the radar. Since these seem to be a real consumable on the E39 I’m hoping to be able to use FCP’s lifetime warrenty should they fail in the future. Love the whinger in the Q&A complaining about the black grilles. GTFO buddy. Decent amount of progress in past month or two. M54B30 engine Trial fitted G220 Gearbox and standard factory manual mount sorted. Gearshift linkages too long so shortening those 60mm Then measured driveshaft and having front section lengthened 180mm Bumpers are all now Fiberglassed back together and all mounts glassed on, now for some sand/fill work and painting. Porsche 911 SC Brake booster modified and installed XYZ Coilovers fitted to front struts and installed Front wheel bearings were shot so fitted new wheel bearing hubs Medium Case LSD fitted Front seats are being recovered with Factory Pacific Blue material, hope to get those back this week. Modified the E30 steering linkage to suit the Z3 rack but it's just not working, hitting exhaust manifold hard. Picked up a Holden Astra linkage on Friday which I have started modifying to fit while engine is out, will get that sorted this week . I suspect manifold may still need some massaging. Lots of other things happening along the way to keep things moving, engine currently out while sorting the heater lines and also refitting clutch slave cylinder and gearbox plus sorting Radiator and hoses which I think I know what i'm doing with that. Hope to have engine and gearbox back in for the last time on Sunday if time allows, then will get the exhaust made up. After that its the Wiring harness, which will hopefully be sorted by my Auto Electrical guy. Steady progress, project has escalated a lot from original plans :), was something my son and I are building for him to learn to drive in.... yeah that's not going to happen!